The reason I am sharing this information with you is that many of you that come to me with ghost stories have also asked about Reiki. It seems to come up in conversation many times when speaking of the unexplained. One of my co-workers and Ghost Walk partners knows about and does Reiki. 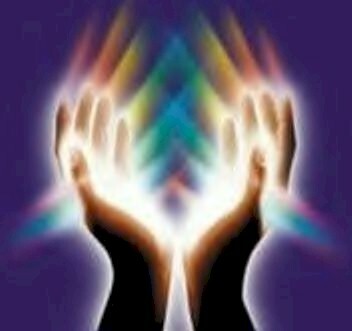 I am had several conversations with her about Reiki, how it works, why it works and is it safe. She states it is all about light and well being, that you learn to block any negative energies. As always, if you have questions contact a Reiki master. Good Luck in your search for light and truth. It has just been brought to my attention that the EVPs on this site are not working. I will try to get them back up and running as soon as possible. 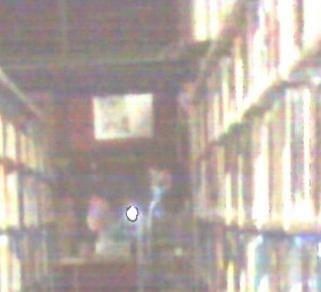 Last year one of Ghost Walk participants caught a photo of a man-spirit walking threw the library stacks. The first photo was taken from the far end of the stacks. The person that took the photo said she had seen a man walking from right to left down the back of the stacks. When we cropped the photo to the area at the end of the stacks that she described we were shocked. Many of us did in fact see what we think is the “man in a funeral coat and top hat” that has been seen previously by several patrons. Some see this very clearly, but there are those of you that are not so sure. I am hoping by posting the photo again and by adding a tagged photo next to it the outline will be more visible. 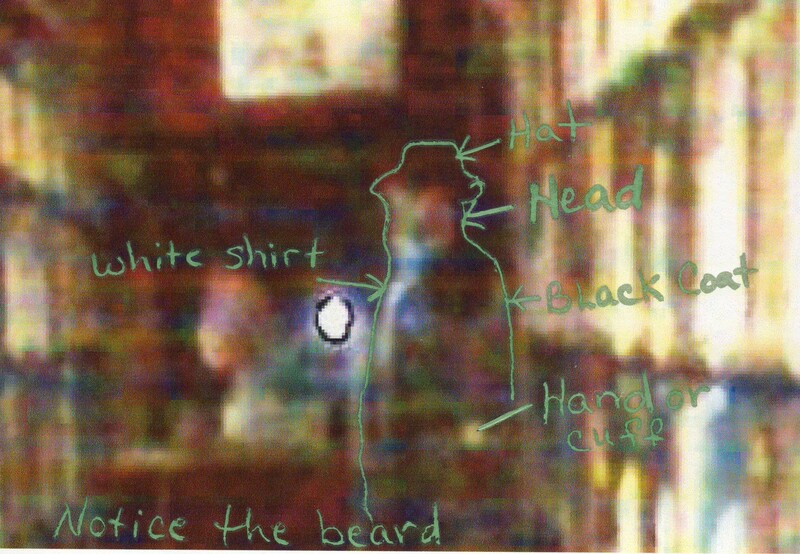 The things that you might watch for is the outline itself, the hat, the head with facial hair, the white dress shirt and black dress coat, the arm and sleeve cuff or hand (unsure). Two young ladies in late middle school, possibly freshman, stopped by the Front Desk and reported that they both had seen “a man with a top hat and dark coat” towards the back of the library by the Children’s area. He was there then he was gone. An adult man came to the library and stopped me. He said he saw a ghost. At first I thought he was kidding, but he assured me he was not. He then relayed his story. It was about 10pm when he stopped by the library with the intent of returning his books to the book drop. As he walked in front of the glass windows at the front of the library, he saw a shape of “a man in a dark suit” walking inside the library. He said he realized it wasn’t a person but a ghost and it scared him. Next he ran to the book drop and as he did the dark dressed figure seemed to go that way also. As he opened the book drop to put the books in a gust of wind shot out of the book drop and he felt it on his face. He said he then “got the heck out of there”. He asked me if there was breeze that shoots out of the book drop and I had to tell him there is not. We welcome photos taken of the paranormal at our facility. If at some time you do happen to catch something, please share with us so we might record it and share with others. If you have questions please feel free to email me at mgilmore@sweetwaterlibraries.com.